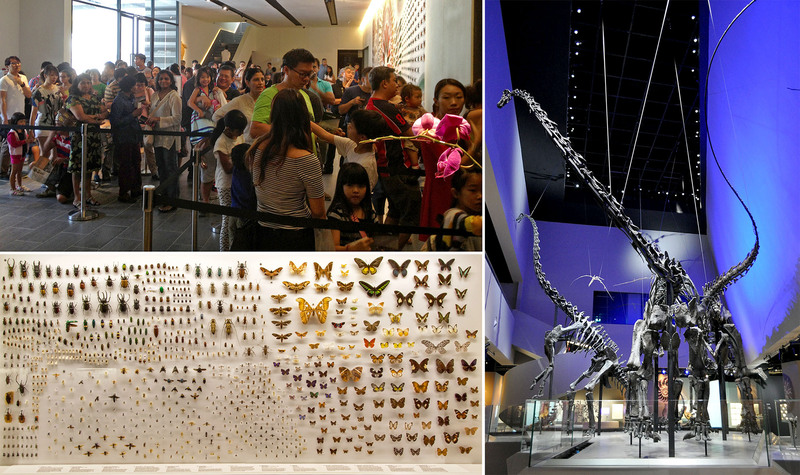 Win a pair of tickets to the Lee Kong Chian Natural History Museum! Close to 4,000 visitors flocked to the museum over the long weekend. Have you got your tickets for a visit yet? Simply go to the contest post, hit “Like” and answer the following question: What do you want to see most when you visit the LKCNHM and why? Be sure to like our page and stay tuned to the results! Winners will be notified via Facebook message and on this page. Contest ends 11 May 2015 12 pm GMT+8. Prizes are not transferrable or exchangeable for cash. Tickets must be claimed and collected from the LKCNHM counter by 31 May 2015. This contest is not open to LKCNHM staff, and is in no way sponsored, endorsed or administered by, or associated with Facebook.